Andrew Connell outlines the findings from recent research on youth homelessness and its impact on policy in Wales. Two recently-published reports by the Wales Centre for Public Policy are underpinning the Welsh Government’s latest commitments on youth homelessness. In announcing the details of an extra £10 million funding for youth homelessness services in November, the then minister for housing and regeneration, Rebecca Evans, drew on the analysis and recommendations of the centre’s Preventing youth homelessness: An international review of evidence. The companion report, Youth homelessness and care leavers: mapping interventions in Wales, provided up to date information on the current pattern of service provision care leavers and made recommendations based on the international review’s conclusions. The two reports were commissioned by the then First Minister, Carwyn Jones, following the commitment that he made at the launch of the End Youth Homelessness Cymru coalition to end youth homelessness in Wales by 2027. They emphasise the need for action across the different functions of government and local government. The international evidence review, in particular, provides one of the most comprehensive guides yet to what we know about why young people become homeless, and how we can make sure that youth homelessness is a rare, short-term, experience which is unlikely to be repeated. Which factors (or patterns of factors) are known to increase risk of youth homelessness? Which policies and programmes are effective in preventing youth homelessness? What are the characteristics of effective strategies to prevent youth homelessness? What evidence is still needed to support the prevention of youth homelessness, and how might it be generated? The review identifies three categories of causes of youth homelessness. Structuralcauses are large-scale social and economic factors such as poverty, lack of affordable housing, and discrimination and violence experienced by some groups. Systems causes arise when the systems which are supposed to help vulnerable people fail to do so, perhaps because they are not accessible, or poorly co-ordinated, or fail to work with young people to manage transitions. Individual causes are about a young person’s own circumstances, relationships and experiences. Importantly, while individual and relational factors may be the immediate reason that a young person becomes homeless, exposure to structural factors and system failures may contribute to those factors and will almost certainly make the situation worse. It follows that effective prevention strategies have to address these causes, and the authors structure their analysis and recommendations aroundfive types of youth homelessness preventionidentified by Dr Stephen Gaetz and Dr Erin Dej: structural prevention, systems prevention, early intervention, eviction prevention, and housing stabilisation. Structural and systems prevention, as their names suggest, act on the structural and systems causes of homelessness mentioned above. So structural preventionis about working ‘upstream’, to change the structural, economic and social factors which expose people and families to the risk of becoming homeless. The evidence review suggested that the most effective interventions at this level are aimed at reducing poverty, increasing incomes, reducing conflicts within poorer families (for example, through mediation), and making more, affordable, housing available to young people and families. Systems prevention, meanwhile, means dismantling the failures in institutions and systems which, directly or indirectly, put young people at risk of becoming homeless. One important part of this is improving the way in which young people leave systems such as the health, care, and criminal justice services. Alongside appropriate financial and housing support, early discharge planning which fully involves the young person and focuses on their relationships, education, and employment prospects as well as accommodation, can make the transition from public systems much more stable and positive. Importantly, effective systems prevention requires an integrated approach across the different systems that work with a young person. At a more individual level, early interventioninvolves policies and services which help people keep their current housing if they are at risk of homelessness, or rapidly access new and appropriate housing if they have become homeless. The review suggested that respite housing models for young people, combined with family mediation and reunification services, can be effective in preventing youth homelessness. But crucially, the evidence indicates that identifying people who are at risk of becoming homeless at a very early stage, perhaps even before individuals themselves realise that they are at risk, can be a very important part of early intervention. With young people, an obvious site for early intervention is the school system. School-based prevention works well when it is youth-centred, family-focused, and grounded in community-based partnerships; and school-based screening can identify children and young people who are particularly vulnerable to homelessness in the medium and longer-term. For example, the ‘Geelong model’, developed in Australia, combines a student needs survey completed by allschool students with observations by teachers and counsellors to identify young people at risk of becoming homeless, dropping out of education, or becoming involved with the criminal justice system. Those who are identified as being at risk of one or more of these things are given a further screening interview and then referred to community-based support which may vary from active monitoring, through casework, to comprehensive ‘wrap around’ support, according to what the young person needs at different times in their life. The evidence suggests that the Geelong model is effective and the minister referred specifically to it in her announcement in the Senedd, noting that current practices in Wales for identifying young people at risk of being not in employment, education or training could provide a similar basis for early intervention here. Eviction prevention is a category of early interventions which are designed specifically to help people at risk of eviction avoid becoming homelessness by keeping them in their homes. The international evidence shows strongly that short-term interventions such as financial subsidies and legal representation in eviction proceedings, even at quite a low level, can make a real difference to stopping people from being evicted. Finally, housing stabilisation interventions are designed to enable people to exit homelessness in a timely way, and never experience it again. There is evidence for the value of youth-focused housing models, including Housing First for Youth (again, specifically mentioned by the Minister) in preventing youth homelessness. But the review argues that in order to implement these housing models, many communities need to increase the availability of affordable, youth-specific housing; and it is important to remember that housing stabilisation is not just about accommodation. The international evidence indicates that housing-led responses are more effective when they also address young people’s wellbeing, social inclusion, connection with community and culture, and engagement with education, employment, and training. In particular, interventions that include family mediation, family counselling, and family reunification report stronger outcomes. The international evidence review offers challenges to the way that youth homelessness interventions are currently planned and delivered in Wales. These challenges are recognised in the centre’s companion report on homelessness interventions for care leavers in Wales, written by Tamsin Stirling (see box), as well as in the minister’s funding announcement. 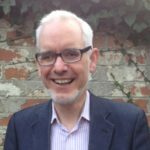 Over a third of the announced £10 million will be spent on prevention, including adapting the principles of the Geelong project to Welsh conditions, while nearly half of the extra funding will form a fund to which providers will be able to bid for resources for innovative interventions. Most importantly, at a strategic level, the review calls for a fully cross-government approach to youth homelessness- a call which the Minister endorsed. 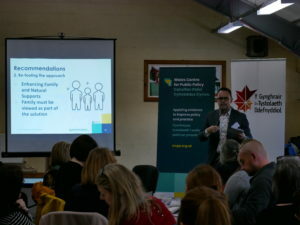 But it is also important to recognise that many of the things which both the international evidence review and the care leaver services report recommend are happening, to some extent and in some places, in Wales today. 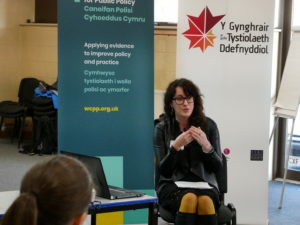 When the centre invited Kaitlin Schwan and David French to Wales in November 2018 to present the international evidence review and meet representatives of Welsh Government, local authority, and third sector, they were full of enthusiasm for what is being done here, and for Wales’ potential to become an international leader in preventing youth homelessness. Clearly, if Wales is to achieve that potential, it will require sustained and committed work from all sectors- work for which these reports provide a basis. The centre is now looking to build on them by working further with partners from all sectors to ensure that youth homelessness policy and practice here continue to be underpinned, as they must be, by the best available evidence about what works. Gaps in provision include suitable emergency accommodation, provision for young people with complex needs, and affordable housing options. Interventions that need to be developed, tested and refined over time include identifying and delivering affordable housing options for young people, reducing or ending poverty amongst families and young people, a psychologically informed environment in all services, and ensuring programmes for young people support their wellbeing, social inclusion, connection with community, and engagement with education, employment, and training. £3.7 million for prevention, including developing the Geelong model, supporting school-based staff, and funding a youth homelessness co-ordinator within each local authority. £250,000 extra for tenancy support work, including work with Shelter Cymru and its helpline, to ensure young people have wide access to information, advice and support services.